Ancol Dreamland, located in the capital Jakarta, is one of the oldest recreational parks in Indonesia. Its history goes back to the 60’s era. It was a swamp along the Jakarta’s waterfront. Full of mosquito and prone to a malaria outbreak. The first president of Indonesia, Soekarno later order a redevelopment to the area. The first park built was called Binaria. A beachfront park famous for its drive-in theater back in the day. 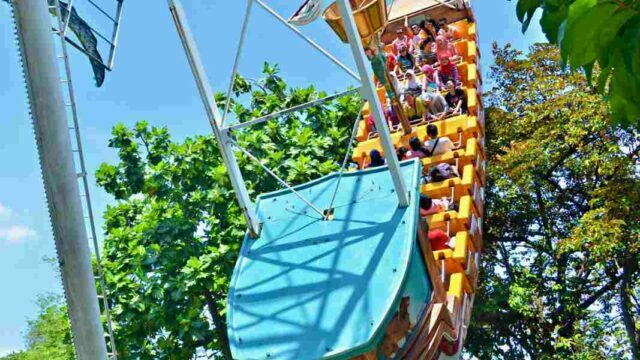 Today, Ancol Dreamland is now an integrated recreational theme park. The largest one in South East Asia. At 552 ha, the park has two main beaches at its shoreline. With resorts sprawls in between the two beaches. Dunia Fantasi (Fantasi World) is the most popular theme park with more than 40 rides and attractions. After Dunia Fantasi, Atlantis Waterpark is visitors’ second most favorite. 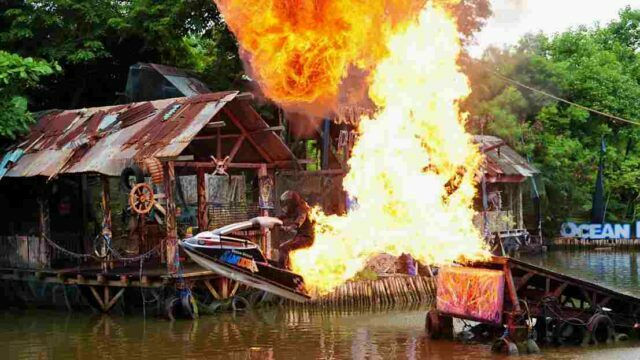 Ancol Dreamland has more things to offer. There is a park called Allianz Ecopark, where nature and environment are the focus. Sea World and Ocean Dream Samudra focus more at Indonesian marine life. For culture and art enthusiasts, there is an art market to explore. Ancol Dreamland also caters night-crawlers, with restaurant, nightclubs, and bars open until late at night. 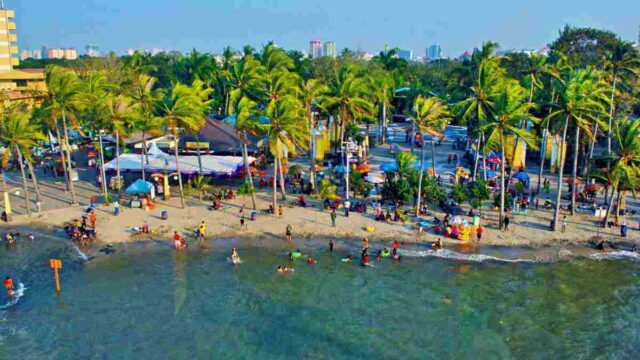 There are two main beaches in Ancol Dreamland. The Carnival Beach and Festival Beach. Carnival beach features long shorelines overlooking Java sea, with white sand and coconut trees. Swim the calm waves or simply let the skin kissed by the sun. Dine at a beachfront restaurant nearby called Segarra. It's a perfect dining place with a view over the beach and the sea. Festival Beach, sets at the west part of Ancol, is more rocky than sandy. The beach's long promenade is perfect for a nice evening stroll. Walk along and find a wooden sea pedestrian where sunset can be enjoyed at its best. At the beach, there's a playground for children to play. If things get a bit boring here, visitors can always rent a small boat and ride toward the ocean. 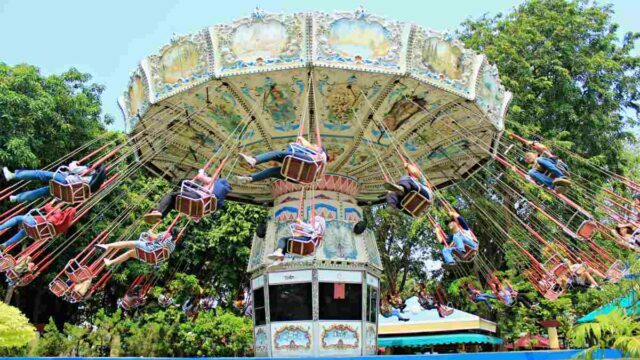 The most fun theme park in Ancol Dreamland is arguably Fantasy World, or Dufan, like how locals call it. For starter, try calm rides such as Poci-poci or Alap-alap. Poci-poci is where visitors sit in a large cup, moving and circling slowly on a giant tea table. Alap-alap is a roller coaster. But it’s more of a relaxing fun ride than a stomach-flipping one. Feel warm-up already, try the thrill rides. Tornado, the most notorious of all Dufan’s ride. Will spin, drop and flip riders up in the air with a seemingly random fashion. Experience a free fall sensation on Hysteria. The chair will bring riders up 60 m above the ground. Before dropping them back to the ground within 4 seconds. After all the adrenaline rush. Slow down the pace by enjoying Jakarta's sunset on the Ferris wheel Bianglala. 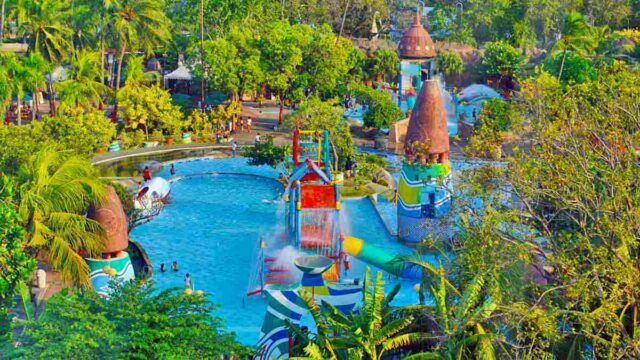 When it comes to Jakarta’s heat, nothing is better than playing at Atlantis Waterpark. Slide the 140 m long waterslide. The big splash at the end will freshen the body better than any ice cream. Adventure seekers should try Skybox. Step into the transparent tube, and as the tube’s floor open. Enjoy being dropped from 80 meters height into the pool. The free fall is only 5 seconds, but the thrill will remain in memory forever. Want some water adventures without having to change into a swimwear? Visit the oceanarium Sea World. It is a large aquarium park filled with hundreds of fish species. From marine fishes to freshwater fishes. Walk through the Antasena tunnel to watch 3.500 fishes swimming freely above. At Sharkquarium, watch a shark feeding show. If that’s not exciting enough, there is also a feeding show for piranha and Pacific giant octopus. If there’s some time left, enjoy the animal show at Ocean Dream Samudra. Dolphins will make spectacular jumps with a sophisticated LED backdrop. Pet this friendly sea mammals at the end of the session – they will appreciate it. After, sea lions will take over the stage, making the audience laugh with their funny behavior. Allianz eco-park at Ancol is a site built for environmental education in Ancol. Learn about the types of renewable energy at this eco-park. There's a bee farm to learn honey making process and a small zoo called FaunaLand. Apart from education, the park provides a large open space for various outdoor activities. Enjoy participating in archery, paintball, or outbound activities. There’s also a small river where visitors can go canoeing. Ancol’s Art Market used to be the center of arts and crafts in Jakarta back in 1970. The art market sells vast collections of arts, paintings, carvings, and other art products at an affordable price. Visitors might get lucky to see some art in-the-making while sightseeing here. Shoppers are welcomed to haggle. Strike a successful bargain and go home bringing some interesting finds. It’s a nice way to conclude the whole of Ancol Dreamland’s experience. The Ancol bay welcomes visitors & tourist every day including on National Holiday. It opens for 24 hours, while theme parks typically open from 9 AM to 10 PM. See: Visit Jakarta Landmark & Museum, Monas, The National Monument. Visitors will have to pay Rp 25,000 when entering Ancol Dreamland entrance gate. The entrance ticket only allows visitors to explore the festival beach and shoreline. There is an additional fee to enter every amusement park. Fantasy world's tickets start from Rp 200,000, Sea World starts at Rp 85,000, and Atlantis starts from 120,000 per person. See: Indonesian Traditional House & Tribes at Taman Mini Indonesia Indah, TMII, Jakarta. The eco-park offers a variety of activities suitable not only for children but the adult. Ancol Eco-park welcome visitors every day from 06:00 am to 06:00 pm. See: A Guide To Visit The Biggest Islamic Site in Jakarta, Istiqlal Mosque. The area is equipped with tons of facilities. Such as a spacious parking lot, toilets and easy access for the disabled. Hotels and resorts are available inside the premises. There’s never a shortage when it comes to shopping as plaza, malls, and shops are plenty. There are many choices for restaurants, with some of them open for 24 hours. Ancol is only 40 minutes from Soekarno Hatta Airport by cars. Ancol can also be accessed by TransJakarta Busway and commuter train (KRL). For KRL, visitors can stop at Kampung Bandan or Ancol Station. For Bus, hop off at Ancol Bus Shelter. It is recommended to bring private vehicles since it's easier to navigate around the vast Ancol area. But for visitors without vehicles, there's a gondola service connecting Ancol's major tourist attractions.